Shopping for a new BMW 2-Series? Unless track days are circled on your calendar, stick to the BMW 230i. It offers plenty of performance without the high price. You’re forgiven for thinking BMW builds only crossovers these days—those things are everywhere. The 2019 2-Series is a reminder that BMW still has a winning formula locked away somewhere, like the KFC recipe. The 2-Series channels the automaker’s past while keeping an eye on the future. The small car has an outstanding shape with the right dimensions: long hood, two doors, big wheels. Two passengers fit best in the 2-Series, the rear seats can be cramped for people who’ve finished fifth or more grades. 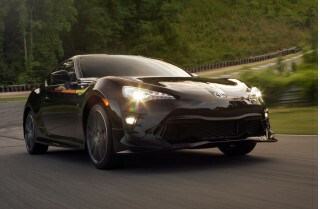 The hood holds either a 2.0-liter turbo-4 that makes 248 horsepower or a thrilling turbo-6 that makes 335 hp. Both engines appear in many other BMW models these days, but in the 2-Series they’re less burdened by weight. The 230i and M240i can be equipped with rear- or all-wheel drive for $2,000 more. Rear-drive coupes and convertibles can be fitted with a 6-speed manual transmission as a no-cost swap, otherwise a very good 8-speed automatic is standard equipment. This year, the 2-Series is equipped with standard automatic emergency braking, and the IIHS gave the coupe a Top Safety Pick nod in 2018. 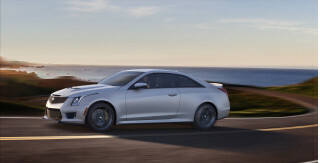 Base coupes start at more than $35,000, but the bottom line can swell to near $60,000 in top trims with premium features. That’s so BMW. 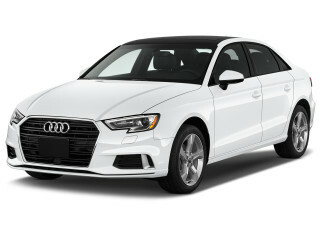 The better value is closer to base and every model is equipped with 17-inch wheels at least, a 6.5-inch infotainment display, synthetic leather, Bluetooth connectivity, a USB port, and a 4-year/50,000-mile warranty. Apple CarPlay compatibility requires an upgrade to the 8.8-inch display and navigation, which costs $1,700 more. One year of CarPlay is included, additional years cost $80 per year. The 2019 2-Series channels BMW’s past style in all the right ways. The 2019 2-Series is the spiritual successor to the iconic BMW 2002 that set our hearts aflutter in the 1960s. The new 2 has a little more glass than first appearances, a lower window line upon further inspection, and more aggressive shoulders than the 1-Series it replaced. The convertible looks better to our eyes, but just barely. The coupe’s roofline hurries toward the rear end in profile, the convertible takes its time. The sharp nose is flanked by big intakes on both sides and BMW’s twin kidney grille is prominent and upright—it missed the last generation’s squinty look. Inside, the 2-Series is more straightforward and shaves away some of the expanse in the 3-Series that made its interior more boring. All the touchable surfaces are nice and solid, but some cost-cutting hard plastics rear their heads in hidden places. There’s no bad performance pick among 2019 2-Series coupes and convertibles. Any BMW with a 2-Series badge on it will be a thrilling ride; there’s no bad pick. With an available turbo-4 or turbo-6, rear- or all-wheel drive, manual or automatic transmission, there’s no bad step to take. The 2-Series makes a good first impression. The base 2.0-liter turbo-4 makes a frisky 248 hp and 290 lb-ft with a fat slice of twist across the rev range. It’s a corporate engine that BMW adds to many of its models, but in the 2-Series it’s not burdened with more weight. Its chunky engine note is almost endearing, but the outright performance is captivating. BMW estimates that the base 230i will take just a tick over five seconds to sprint up to 60 mph, stout enough to make any lunch run satisfying. 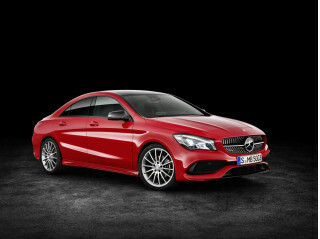 The base 230i can be paired with a 6-speed manual in rear-drive coupes, or an 8-speed automatic in all configurations. The 6-speed is one of the last of its kind and it’s very good, but it doesn’t ruin our good feelings for the 8-speed. The autobox fires off quick shifts and telepathically downshifts when we want. We have one gripe with the 6-speed manual, however: it’s not any cheaper than the 8-speed anymore. The manual is a no-cost swap. All-wheel drive, which BMW calls xDrive, can be equipped to any coupe or convertible for $2,000 more. It’s good all-weather traction, but a rear-drive coupe still has a certain appeal to our ears and right feet. The optional M240i engine nearly makes us forget about the high-powered M2—it’s that good. The turbocharged inline-6 in the M240i makes us proud, even if it makes buyers poor. The uprated engine adds about $10,000 to the bottom line but offers 335 hp and cuts the 0-60 mph dash down by a second. A manual transmission is available on the rear-drive M240i coupe and convertible, the 8-speed automatic is standard everywhere else. BMW offers a track handling package for 230i coupes that adds stickier Michelin Pilot Super Sport performance tires and suspension upgrades for $2,300. Regardless of what’s under the hood, the 2-Series gets the trickle-down bonus of precise steering and an exceptional feel behind the wheel. With rear-wheel drive, the back end is eager to step out around corners and neatly tuck in behind the fronts once the fun is done. With all-wheel drive, the 230i carves a tighter line with less drama. The ride is only as supple as it needs to be, the 2-Series prefers hard braking and quick changes of direction. The 2019 BMW 2-Series dances best when there’s only two adults. Add any more, and it’s understandably clumsy. Although the 2019 BMW 2-Series is the smallest coupe available from the automaker today, it’s roughly the same size as the 3-Series of just 10 years ago. That means the front seats are adequate for adults, and the rear seats are best left to the limber among us—or in-laws. The 2-Series is about 6 inches shorter than the 3-Series and rear-seat riders pick up that check. On paper the 2-Series has 33 inches of leg room, but it feels less than that once adults adjust up front. The front seats slide fore and aft for better access to the rear seats, but it’s still tricky to clamber inside. We’ll take the keys, anyway. Up front, the seat bottoms are supportive and comfortable, shod with synthetic leather that’s acceptable or genuine leather that’s better. Convertible models can raise or lower their roofs in 30 seconds at speeds up to 30 mph, which is helpful in a rainstorm. Ask us how we know. The coupe gets 13.8 cubic feet of cargo space, and the convertible makes do with 11.8 cubic feet with the roof up or 9.9 cubes with the roof stowed. The 2-Series lives up to the BMW roundel for comfort and build quality. All the interior fittings and switches feel all of a piece with its luxury pedigree, although we prefer the wood trim to the aluminum finishes. Official safety data for the 2019 BMW 2-Series isn’t yet complete, but what’s in is promising. Official safety data on the 2019 BMW 2-Series isn’t complete, but what’s in so far is good. The IIHS called the 2-Series coupe a Top Safety Pick last year, and we expect the rating to carryover this year. Automatic emergency braking is standard on all 2-Series models, which addresses our gripe from last year. The IIHS rated the 2-Series’ crashworthiness as “Good” for all its performed tests, and rated its automatic emergency braking system as “Advanced” but noted that the system only slowed the car—it didn’t prevent impact. The optional adaptive headlights were rated “Acceptable” but the standard LEDs were only rated “Marginal” by the agency. The IIHS has not crashed the 2-Series convertible. Automatic parking assistance is available as an extra-cost option. Unusually customizable, the 2019 2-Series can be many things to many people but it’s never cheap. Loading up a BMW 2-Series is easy. Keeping the price under $40,000 is tough. Nothing on the 2019 2-Series is cheap (Eds note: It’s the BMW way, really) but an iron stomach and stark assessment of life goals should keep it reasonable. BMW offers the 2-Series in 230i and M240i engine configurations, with or without all-wheel drive, with or without a retractable soft-top. A 6-speed manual can pair with rear-wheel drive, an 8-speed is standard equipment on most convertibles and all all-wheel drive cars. BMW groups some add-ons into different lines: sport, luxury design, and M Sport. All 2-Series are equipped with synthetic leather upholstery, 17-inch wheels, automatic climate control, a 4-year/50,000-mile warranty, Bluetooth connectivity, a USB port, standard forward-collision warnings with automatic emergency braking, parking sensor, and a 6.5-inch infotainment screen with a controller. That’s good base equipment, but Apple CarPlay requires more money (and a subscription package) that most other automakers don’t ask for. Stepping up to the M240i adds 18-inch wheels as standard equipment. 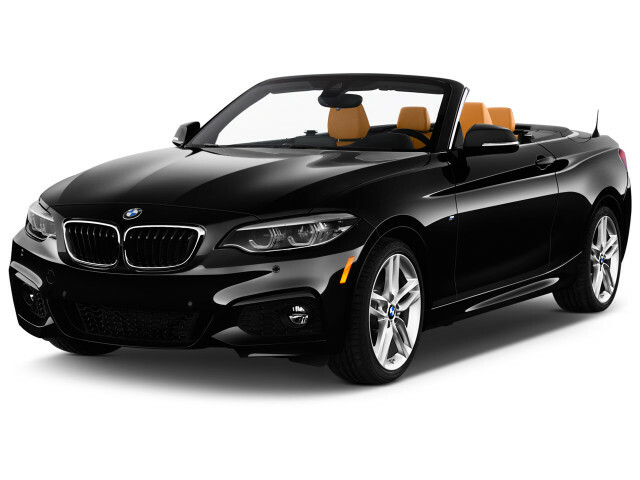 A fully loaded M240i xDrive convertible with navigation, an 8.8-inch touchscreen, leather upholstery, and premium audio can tempt $60,000. Hard pass, we say. That kind of money buys an M2 and its thrilling performance. The better value is a base 230i that can have all-wheel drive for $2,000 more, or lose its lid for $4,800 more—or both. The uprated infotainment screen is a tempting $1,700 option, and heated seats are a $500 standalone option. There are more efficient ways to burn a gallon of premium than the 2019 BMW 2-Series, but are they as fun? Fuel efficiency isn’t the BMW 2-Series’ first calling, but it’s not bad either. The 230i xDrive with all-wheel drive shaves a couple digits from there: 24/33/27 mpg. Opt for a 6-speed manual transmission and the numbers drop to 21/32/25 mpg. 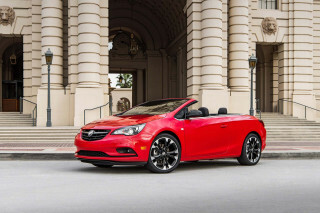 Convertibles are rated identically with or without all-wheel drive, at 23/33/27 mpg. The higher-power M240i doesn’t ask too much for its performance. With an automatic, it’s rated at 21/30/24 mpg and with a manual it’s rated 18/27/21 mpg. Those ratings apply to convertibles and coupes, with or without all-wheel drive. All versions of the 2-Series are rated for premium fuel. Among two-door sport7 cars, the 2-Series is respectable. The Subaru BRZ rates up to 27 mpg combined, and the Nissan 370Z manages up to 22 mpg combined. Looking for a different year of the BMW 2-Series?